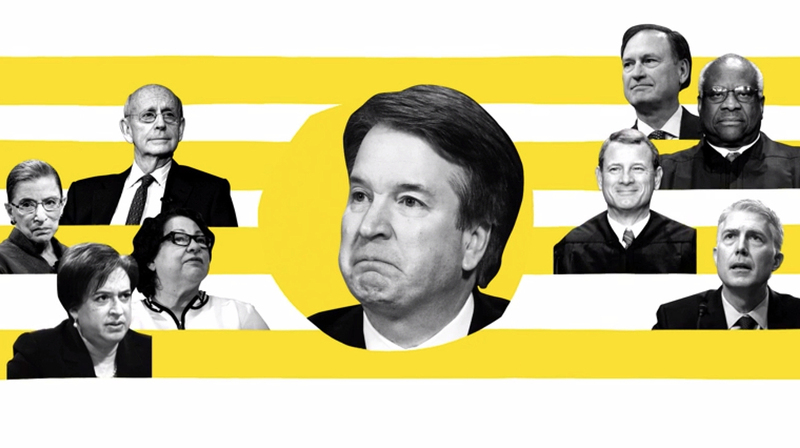 HBO’s “Vice News Tonight” took a unique graphical approach to breakdown the upcoming Supreme Court docket following the confirmation of Justice Brett Kavanaugh. Airing on the newscast’s Tuesday, Oct. 9, 2018, broadcast, the segment first looked at the new makeup of the court’s bench before delving into the cases. 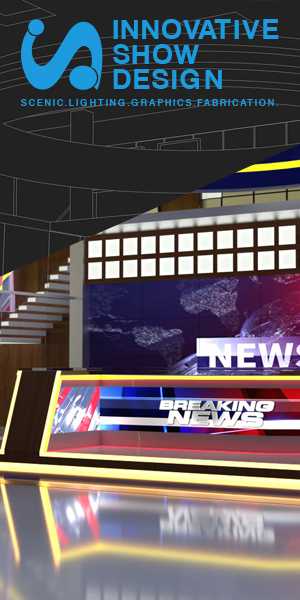 The program has always featured a loose broadcast design style, in the sense that each story is not constrained in the manor a typical nightly newscast would be graphically. 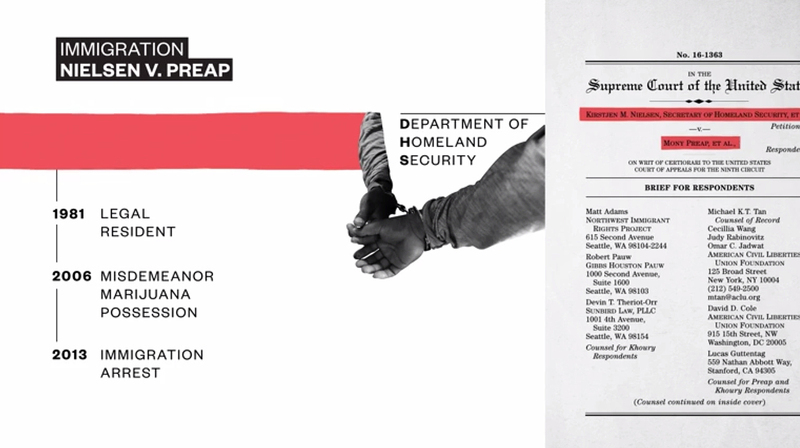 This, along with the fact the program relies far less on b-roll, has allowed “Vice News Tonight” to feature more data-heavy design, an infographic for broadcast. While breaking down the cases, such as with Bucklew v. Precythe, a bright pallet was mixed with fluid, undulating shapes that broke apart to become cross sections. This visually helps created symbolism for the way judges look into a case and examine its many layers. 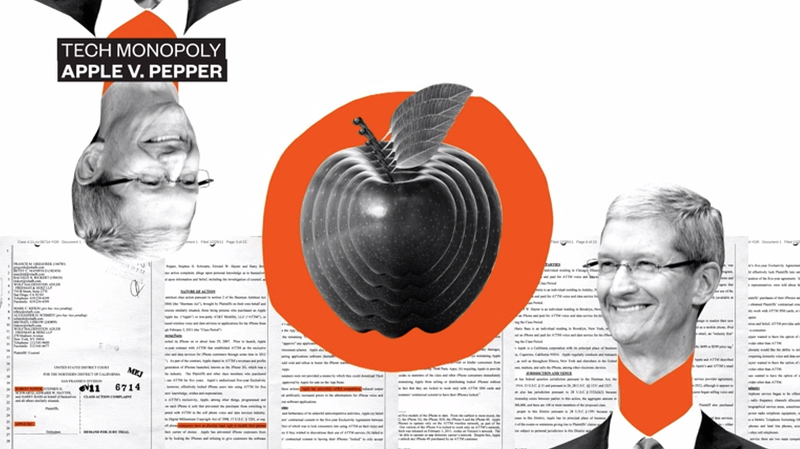 This notion is backed up by the inclusion of highlighted court documents, such as with Nielsen v. Preap, which further add background in the design. Isabella McKinley Corbo wrote the piece with art direction by Ana Simoes, illustrations by Grace Shin and motion design by Kris Cave. 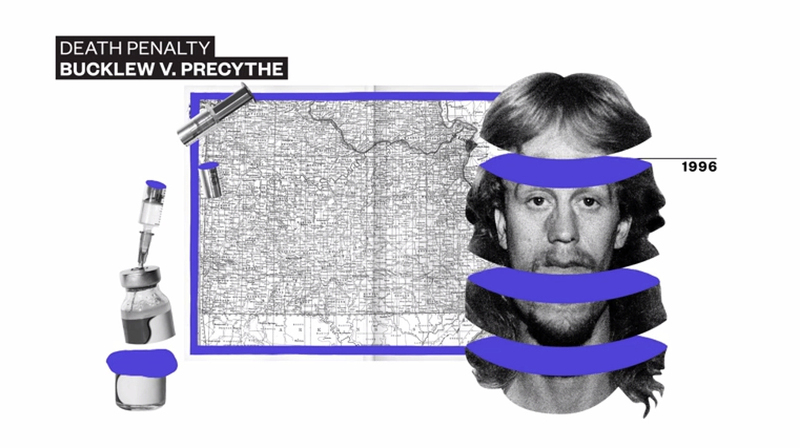 “Vice News Tonight” is led graphically by Kenton Powell, Brian McGee and Michael Deal.